Cobra Long Tom Fairway Wood The Cobra Long Tom Fairway Wood has a large club head (240cc) and also features a titanium face and body that delivers high coefficient of restitution. That high C.O.R. means more energy is transferred from the club to the ball on impact, resulting in longer shot. Combine that with the 45 lightweight Blackbird shaft from Grafalloy and the result is superior distance from the fairway. This is the best club I have ever hit of the tee. I have trouble with the driver and this has cured me. I have the stiff flex and it seems to be perfect for me. Went from hitting a driver 260 yards to the left, right and everywhere but the fairway to hitting this 250 up the middle. However I have one very major setback I have already broken 2 of the shafts. One on the tee that went 245 down the middle and one off the deck that went 230 down the middle. I am going to try another shaft and see what happens. I am keeping my fingers crossed. My rating is low only because of the shaft I have been playing for 12 years now and these are the only 2 shafts that have ever broken on me. They did replace the first shaft with no problem, but I am not sending this one back. Keeping the Definition of insanity in mind. I am a 53 year-old mid-handicapper who has struggled with the big 460cc drivers. I've tried a bunch, and I have problems with launch angle and hitting the sweet spot. I swing a driver at 93 mph with a smooth transition and average about 220 when I'm swinging well - 250 when I crush one. I've been teeing off with my 5-wood a lot lately, since I can keep it in the fairway 190-200 yards out. 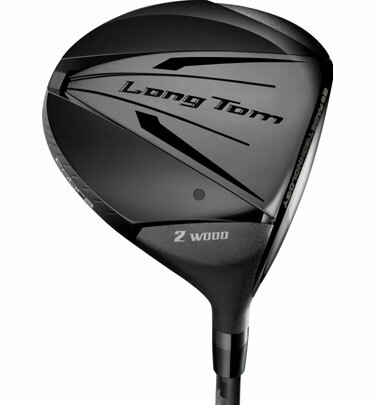 So I demo'd the Long Tom 2-wood and instantly felt like I had found my new 'driver.' The last couple of rounds have confirmed that this club is something special in my hands. The 12.5° face, the E0 swingweight, the 50g shaft, and the dual-roll titanium head combine to produce shots that go straight, long, and most of all, feel GOOD. This is with the stiff shaft. I usually play a regular shaft, but the stiff feels perfect for my swing metrics. My playing partners are amazed at how far my drives are going now, and I'm even more amazed that I can CRUSH this thing off the deck. In the past, all I could hit from the fairway was my 3-hybrid (about 190 yards.) I've been poking 230 yard shots from the fairway with this 2-wood. You young guns might not like this club, but for an older mid-capper like me, it's a Godsend. I've tried every driver/shaft combo known to man - the big 460cc heads don't work for me. And I've only found one 3-wood that I liked off the tee. And it got stolen.